So because the first five seemed to strike a chord, here’s the second half. These lessons focus more on team and culture building as you enter into hypergrowth. As always, I would love to hear any feedback you have on this post. Drop me a line at tavel (at) greylock (dot) com, or reply in the comments. I believe all employees in a company fall on a spectrum. On one side, there is the employee who thinks of the company like a job. They come in, they work hard, and they do their job. Some excel at doing their job. But ultimately, it’s a job. They want to make sure they’re fairly compensated for their work, and have interesting projects to pursue. As long as they believe those things are in balance and the arbitrage they can get by going to another company is within a certain bound, they’re stable and stay. In summary, they are rational actors, and the value they add to the company, while valuable, scales linearly. The other side of the spectrum has a different DNA — they act more like founders than employees. They pour their passion into the company because they believe in its mission and it is how they are wired. They ask and do what is best for the company, not just what is in their job description. They work hard and late, because for them, the company isn’t a job, it is part of their identity. Most of all, they best embody the company’s values, and because they do, their value is not linear: they energize and power startup teams through good times and bad. I think of this class of people as the mitochondria in hypergrowth startups. As a CEO, you have to be aware of these two groups and as much as possible, attract and reward these mitochondria. It’s more common for a startup to hire a higher percentage of founder-employees early in a company’s life, but that doesn’t mean you can’t hire them throughout a company’s lifecycle. It does take effort — you’re less likely to find these employees at a mature tech company than you are at a startup, so you’ll need to augment your traditional candidate sourcing pools to find them (I’ve found talent acquisitions can be a great source). And once you have them, you need to keep them. You should be willing to “break levels” and pay these energy-giving employees more than the pay grade for their position, if necessary. Comp levels are too rational a structure to overlay on an irrational commitment and impact. In order to scale, you need to be able to access the best talent. No single group of people have a monopoly on “best”. If your team is homogenous, it’s only going to get harder to change this, and access the global maxima of talent. The simple truth is it’s a lot easier to introduce diversity into your company when you’re five people trying to hire a sixth than when you’re 15 people trying to hire the 16th. The more people you have in your company, the harder it will be for someone different to fit in, and the less likely they are to apply, pass your interview process, let alone join. So the sooner you tackle diversity, the better. 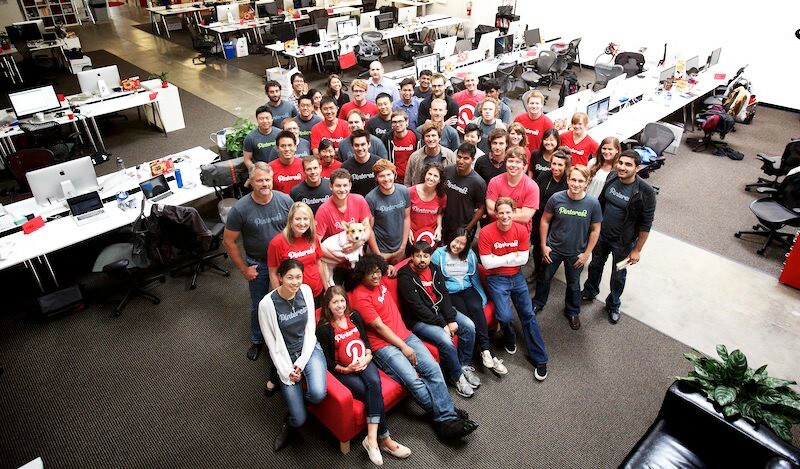 That was something Pinterest did right in hiring Tracy Chou. Ben and Evan made it a goal to hire a woman engineer early, because they knew that would help attract other women to the engineering team, and ultimately build a better product. Hiring Tracy Chou not only brought in an amazing engineer and power-pinner (not to mention the first tech lead I worked with! ), but signaled to other female engineers that Pinterest was a place they should consider. Pain today is less than the same pain tomorrow. Think of it this way: when you push out a decision, you’re taking a loan out on the pain of that decision. The younger the startup, the higher the interest rate is on the pain. When you do finally make the decision, the pain you have to go through with that decision is bigger. This is true for pain in your product, your tech stack, and most of all, your team. The key is to nip painful things in the bud — no matter how hard it might be to do so. The best founders have the courage to do the hard thing or have the hard conversation, and not postpone it to tomorrow. For example, a team member who has a negative impact on culture, or who isn’t performing at the level you need will not magically get better six months from now. They’ll set a team in a direction, hire other people who also aren’t great, lose people who are great, and then you’ll still need to replace them. Make the change as quickly as you can and you will be a much stronger company as you grow. Every startup is constantly launching new features and experiments. Most don’t work. When that happens, it’s tempting to simply scrap it and move quickly to the next thing, but this is a missed opportunity to learn. As Jeff Bezos has said, think of failures as “tuition”. For example, I once worked with a designer to upgrade the experience of what happens when someone saves one of your pins. Originally, Pinterest would show you the pin that got saved. We thought, why do that? The user already knows what their own pin looks like. So instead, we decided to show the user the board onto which their pin got saved, in hopes of making it a discovery experience. I honestly thought this would be the most important feature I worked on at Pinterest yet — I was so excited! Unfortunately, users didn’t feel the same way. When we shipped the experiment, users threw a fit. I never was in more trouble from our community and PR teams than I was with this feature. And it wasn’t just the vocal minority I talk about in lesson #3 — our metrics actually dropped. It made us realize that Pinterest was about more than just a personal discovery utility — that the social aspects of Pinterest were really important to people, and that we had undervalued this as a company. And so one of the next features Pinterest built was a (very successful) refresh of our notifications. In any organization that’s going through hyper-growth, there’s only one constant: Change. I remember Ben Silbermann saying at a company Q&A, “Just when I thought I’d figured out how to be the CEO of a 100-person company, suddenly it’s 200 people.” That’s true at almost every level. Your role changes constantly, what people need from you changes constantly, who you report to changes, the company’s internal processes change constantly. Indeed, in a startup, change is a feature, not a bug. That org change? That’s a good sign, not a bad one. If you want to be in a leadership role in a company that’s growing extremely rapidly, you have to be comfortable with this change, and have a mindset of always learning. Nothing should ever feel comfortable. Get used to it. To help, considering hiring a coach, and surround yourself with peers whose companies are a step ahead in terms of growth. It’ll help you see around the corner as you scale. Follow me on Twitter at @sarahtavel. native new yorker, SF-resident. general partner @benchmark. formerly product @Pinterest. originally blogging at www.adventurista.com.